Slow Clay Centre offers this one-day workshop with experienced potter and ceramist Andrew Halford. Halford’s background with ceramics began as a child in the 1970‘s when pottery was THE thing! As a teenager his interest in Japanese ceramics began when he was apprenticed first to Shiga Shigeo (Sydney) and then to Les Blakeborough (Sturt Workshops, Mittagong). 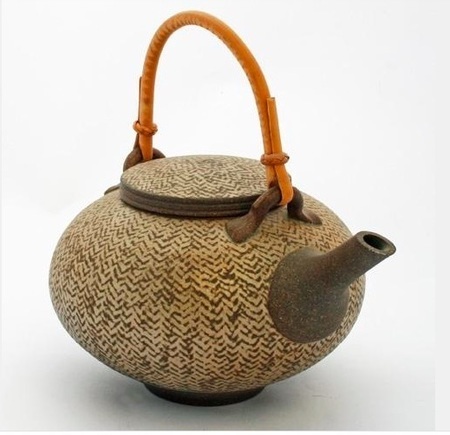 He followed this with a five year stint in Japan first with Shimaoka Tatsuzo (who subsequently was given the accolade of Living National Treasure for his slip inlay techniques) and then with Shimada Haruo making traditional large coiled & thrown vessels. Andrew’s career since then has been marked by some particular highs such as his work being collected by the National Gallery, Canberra and most state based galleries including the Powerhouse Museum. He has had sell-out solo exhibitions and has maintained his connection to Japan visiting there two year s ago for a reunion exhibition of the artists who trained at the Shimaoka studio. In the 1990‘s Andrew chose to lead a semi-reclusive life in the idyllic climes of the Hawkesbury River region has recently moved to an even more isolated location in Tasmania where he is establishing his new studio. His approach to his ceramics is underpinned by this lifestyle and philosophy of living in harmony with nature. Halford’s work is marked by a compelling combination of strength and softness. The strength is evident in his accomplished throwing skills, transcendent and harmonious, they are the bones of his work. The softness is evident in the surfaces and finishes, subtle slips, glazes and delicate inlaid surfaces with rolled rope reminiscent of his teacher Shimaoka Tatsuzo. In this rare demonstration workshop you will be mesmerised by Halford’s transcendent and powerful wheel-throwing techniques where the form is the basis for all that follows. a large range of his forms using his unique and powerful throwing techniques including throwing off the hump, sphere’s and large vessels. turning and slip decoration and decorative inlaying of patterns and designs. 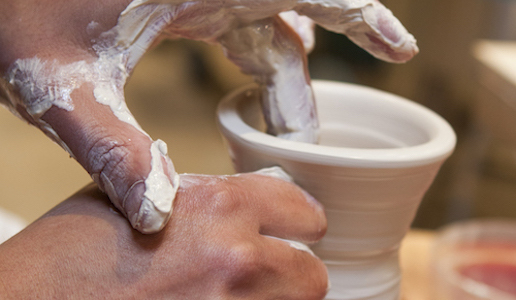 This will be an inspirational workshop for not just students but for established potters.